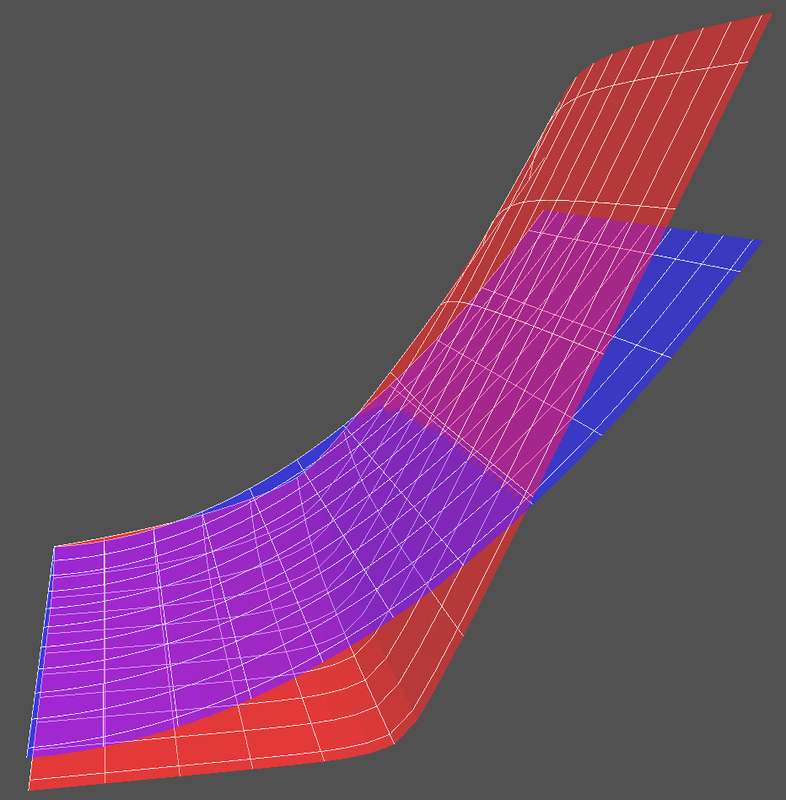 In my engine, iOS is one of my target platform, which only have 8 texture unit to use for the OpenGL ES 2.0 API. 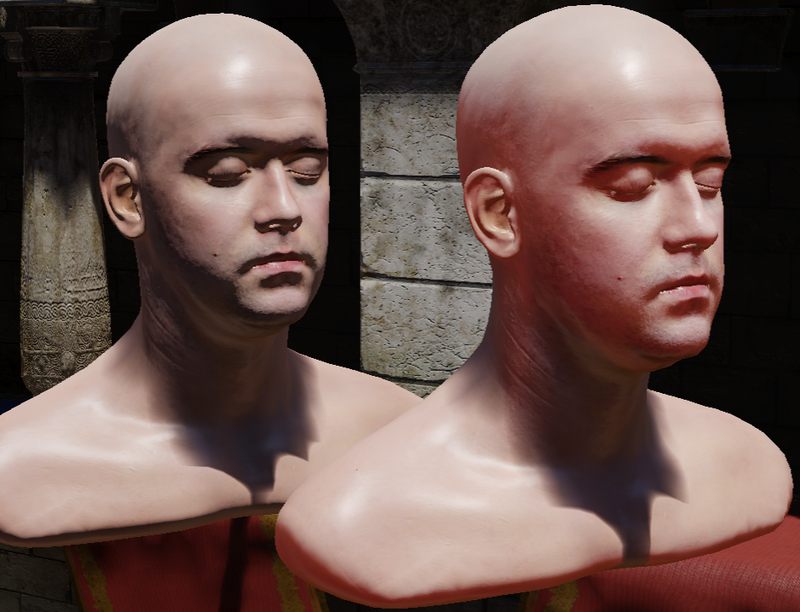 This is not enough for the pre-integrated skin look up texture because my engine have already used some slots for light map, shadow map, IBL... 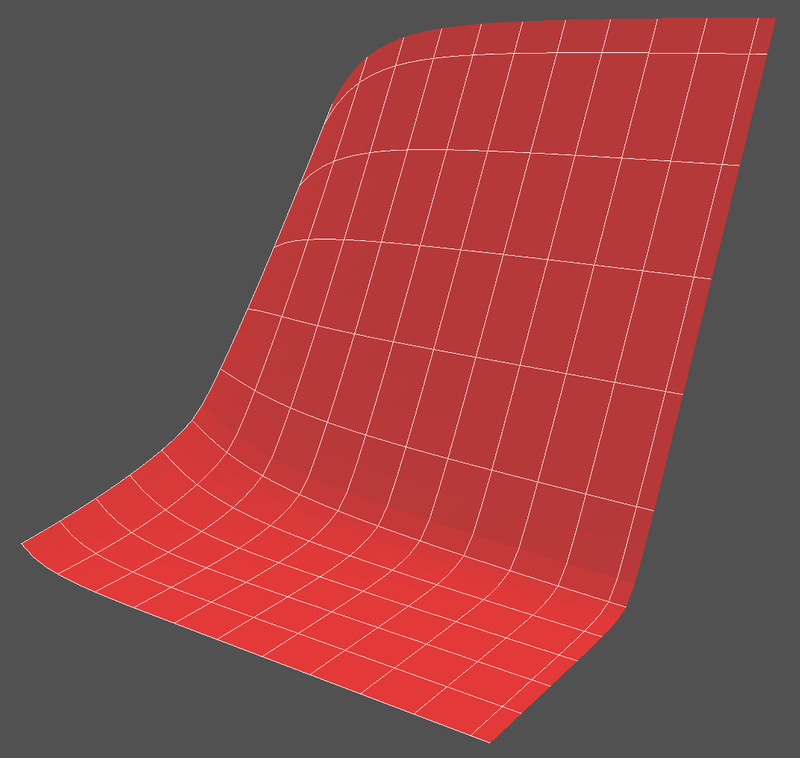 So I need to find an approximation to the look up texture. 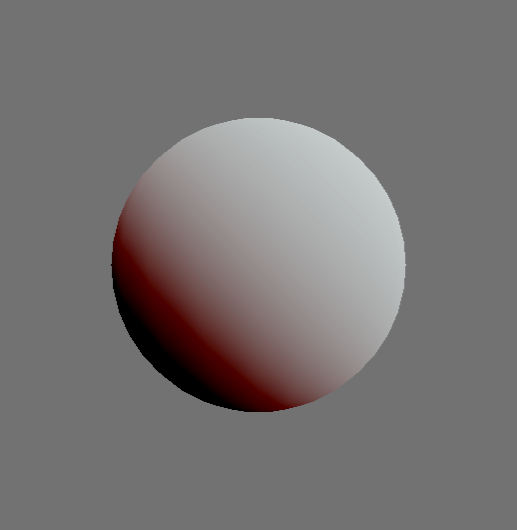 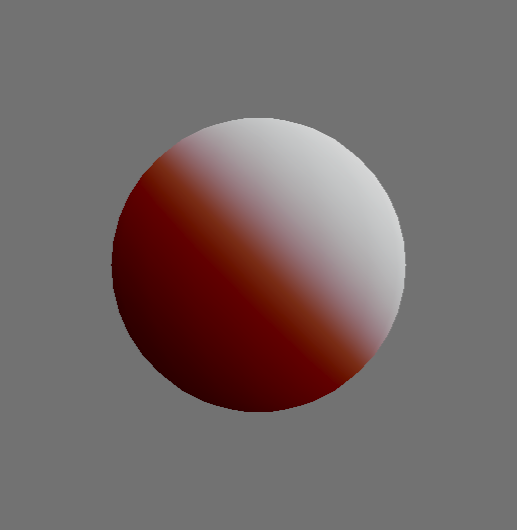 Putting both the direct and indirect lighting calculation together, with a simple GGX specular, lit by 1 directional light, SH projected indirect light and pre-filtered IBL. 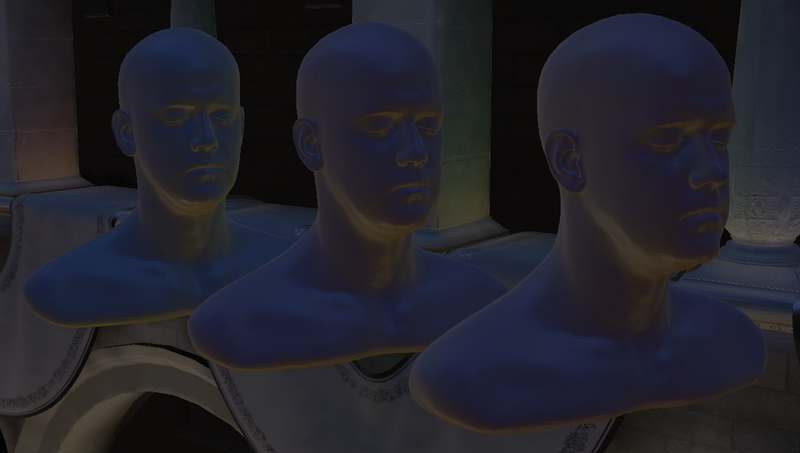 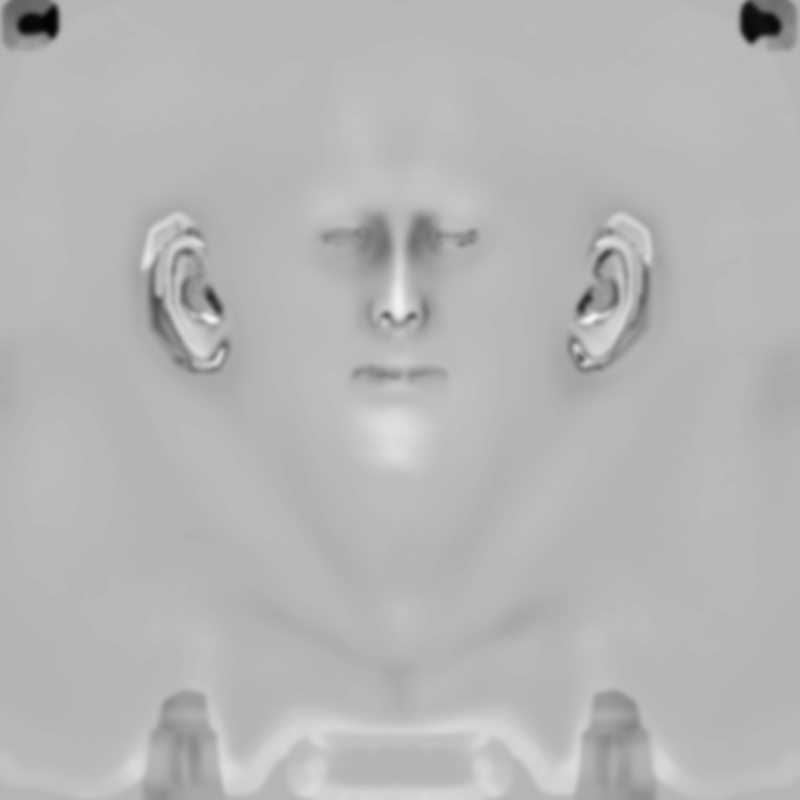 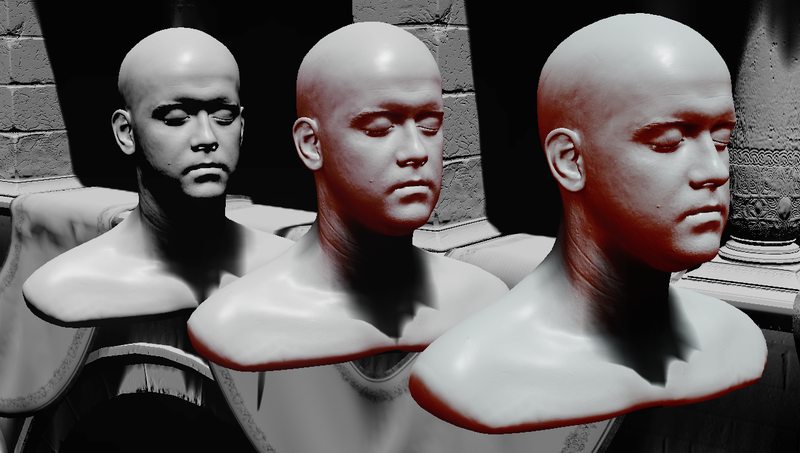 In this post, I describe a way to find an approximated function for the pre-integrated skin diffusion profile, which gives a similar result for the direct lighting function while losing a bit of red color for the indirect lighting. 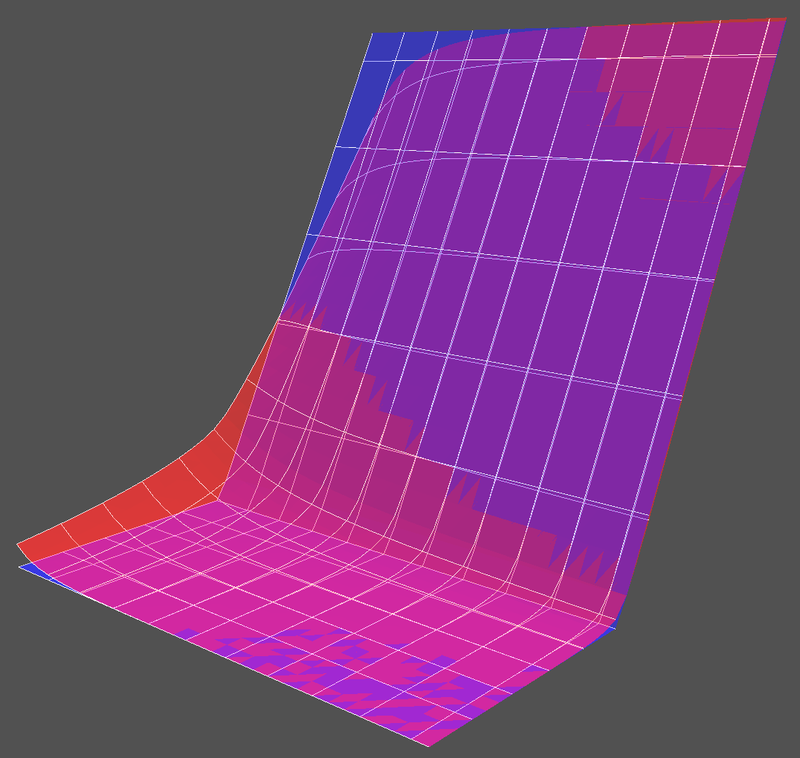 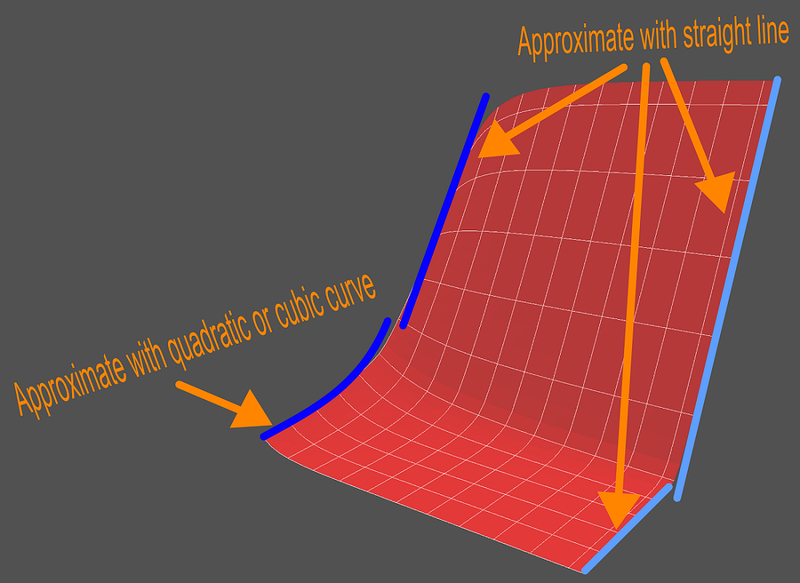 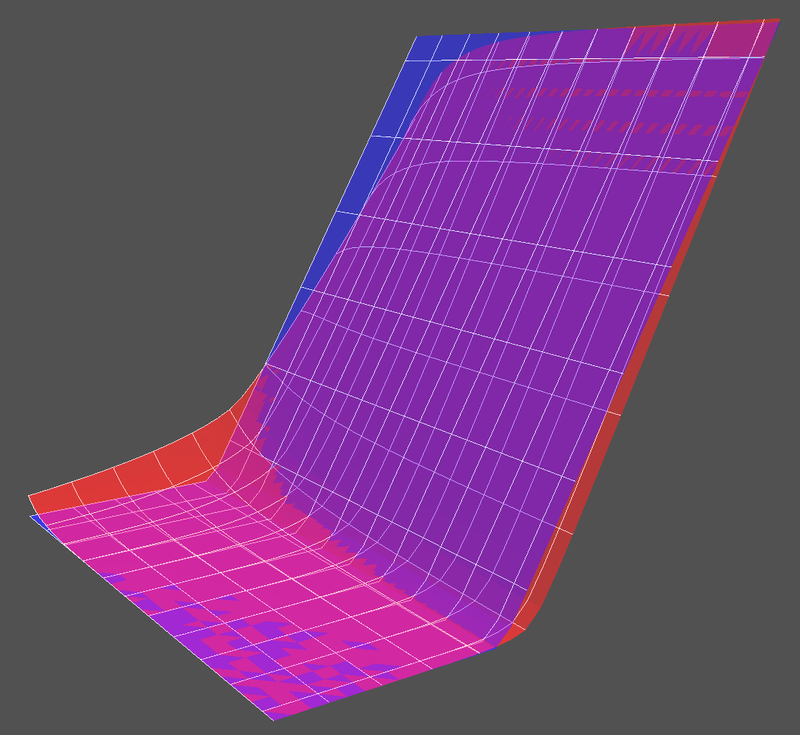 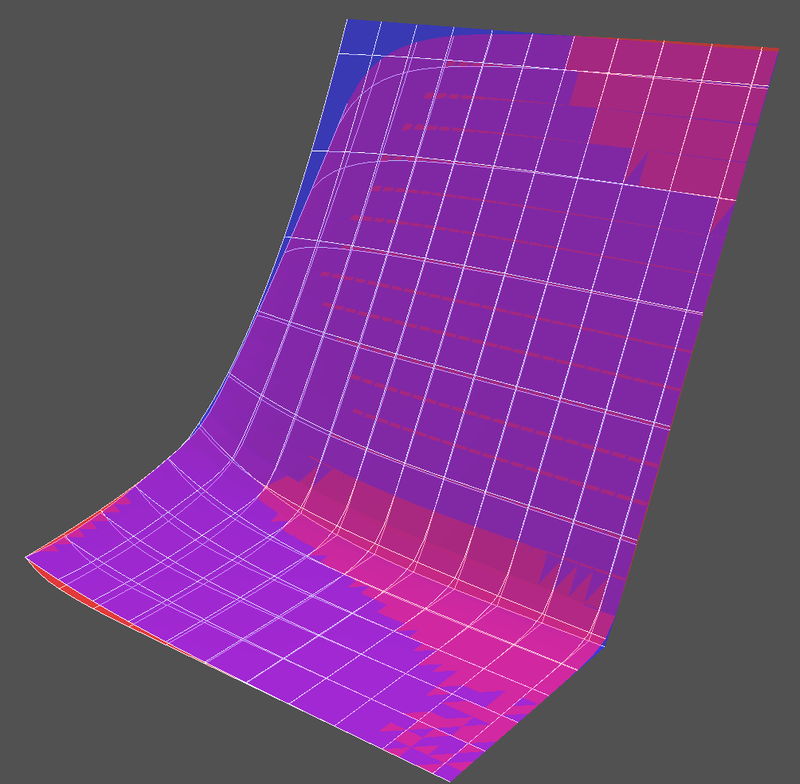 The down side of fitting the curve manually is when the function is changed a bit, say changing the function input from radial distance to curvature(i.e. 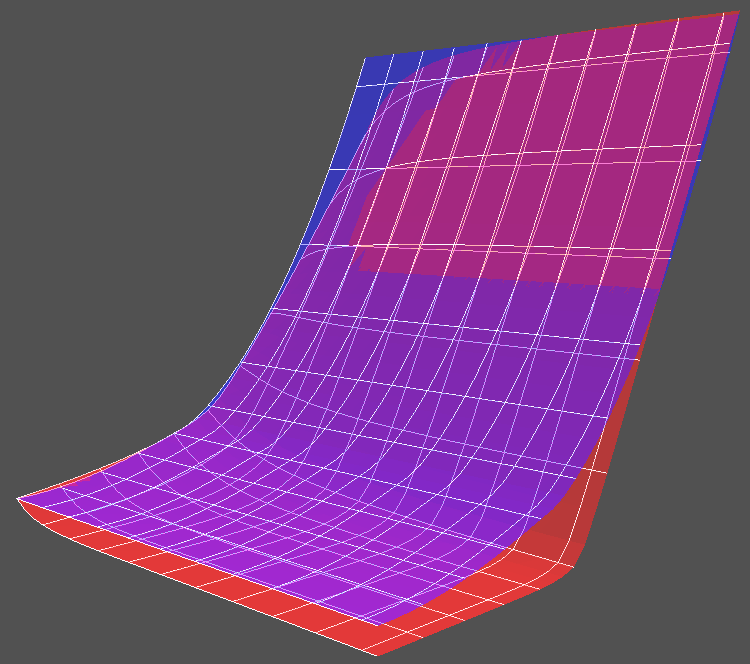 from r to 1/r), all the approximate functions need be re-do again (or the conversion need to be done during run-time just like my code snippet above...). 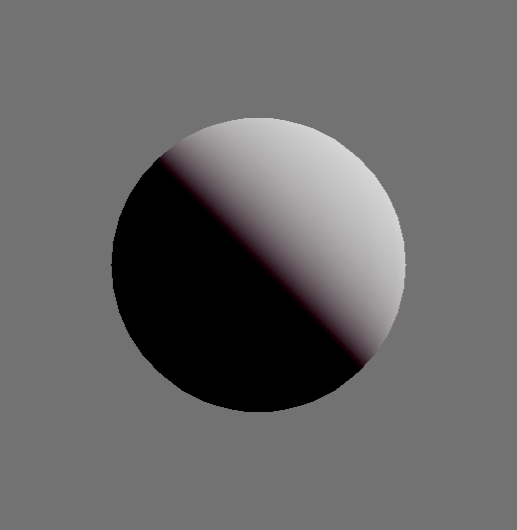 Also the shadow scattering described in the original paper is not implemented, so some artifact may be seen at the direct shadow boundary. 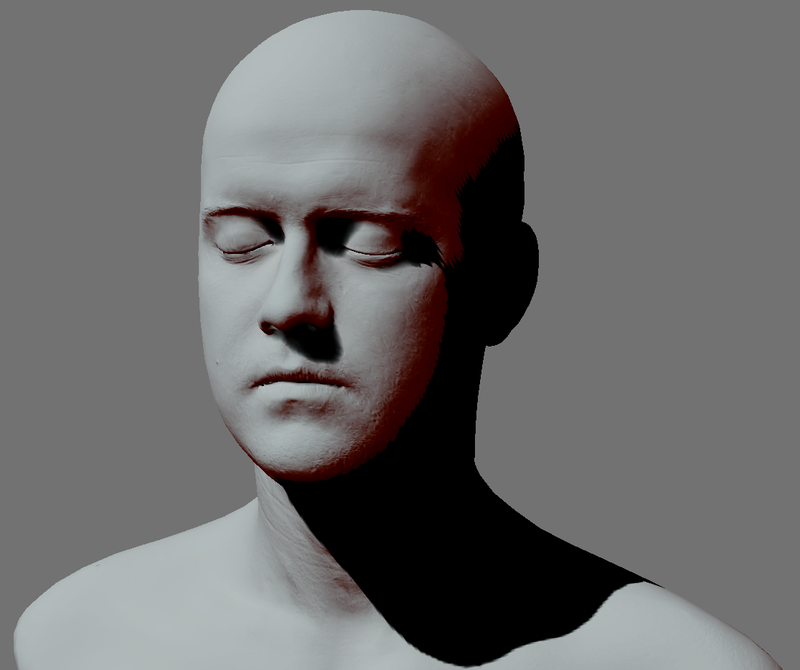 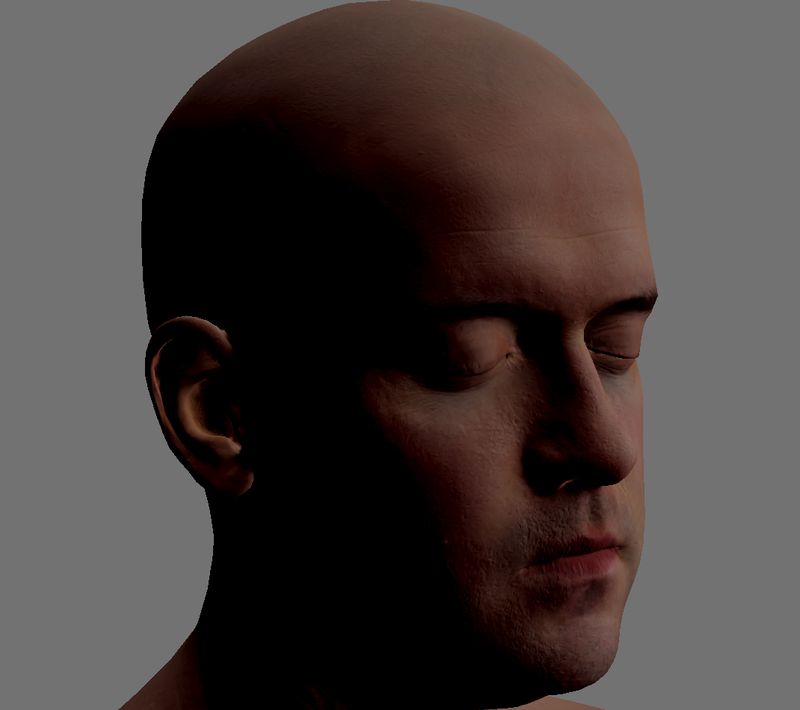 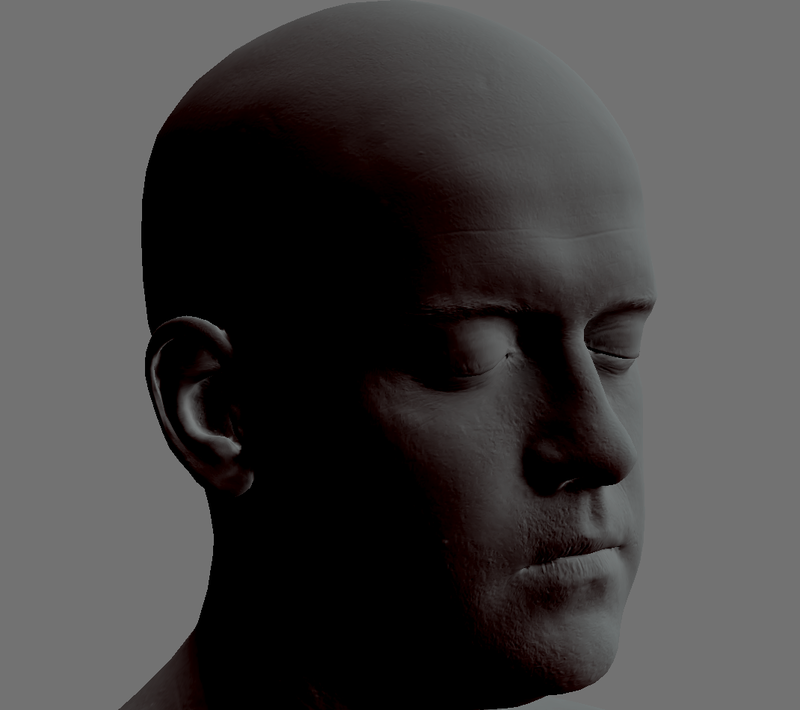 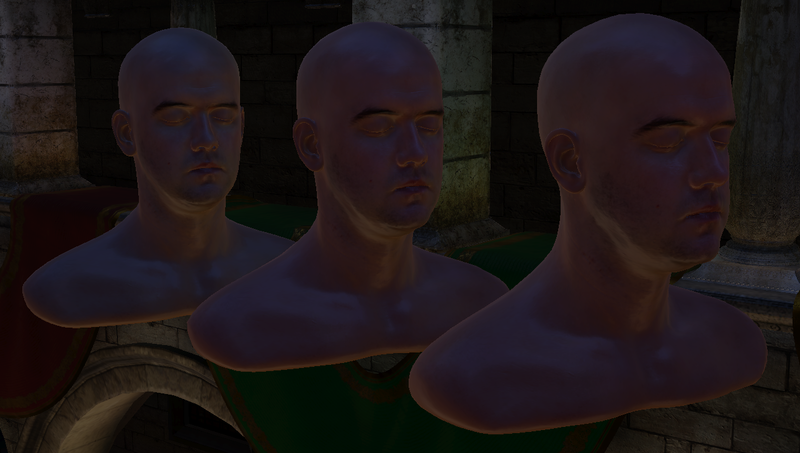 Overall, the skin shading result is improved compare to shade with Lambert or Oren-Nayar under environment with a strong directional light source.